* No-stock and In-stock are the same price. (03. Mar. 2019) 310 The Magic Flute "Der Vogelfanger Bin Ich Ja"
FINAL DISTANCE Hikaru Utada Limited Edition tunes. USED (Mint, like new and perfect condition). 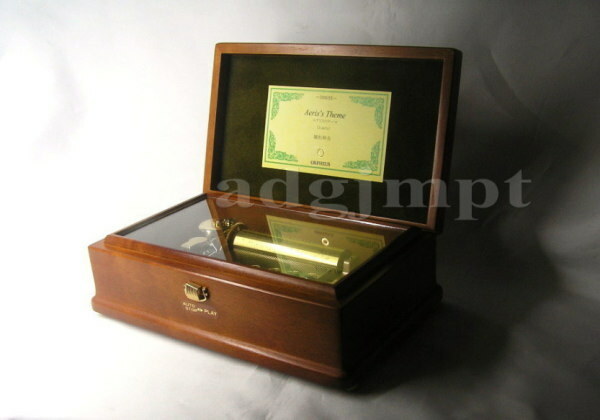 This sale is Sankyo ORPHEUS 50 note cylinder music box made in Japan. Play the tune "Aeris's Theme" 3 parts from Final Fantasy VII (Final Fantasy 7). Brown color half matt finish. 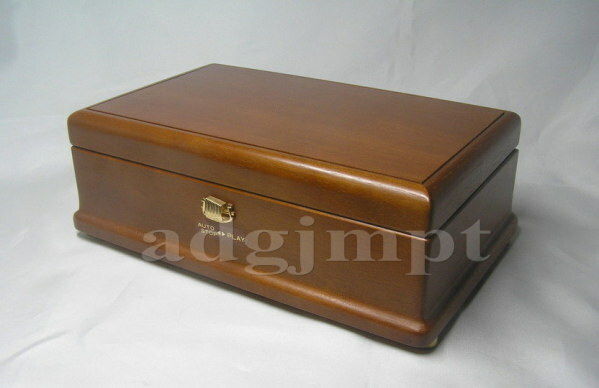 This music box was made by Sankyo Seiki Mfg. Co., Ltd. If you want any tempo (playing speed), please let me know. We will as close to your wish as possible. Shipping rate and usually Delivery days from Japan.